Welcome to a new era of affordable emergency loans. 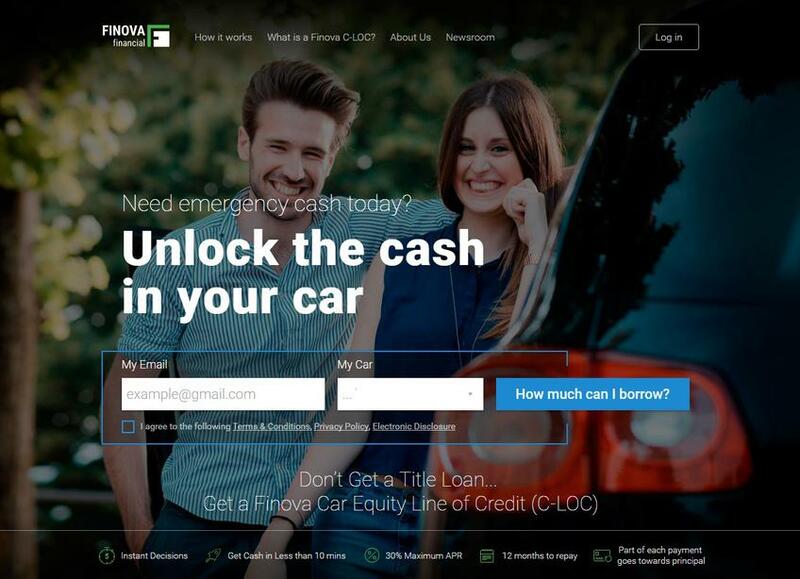 Finova Financial is transforming the FinTech industry as a socially responsible online lender, providing fast, affordable emergency loans based on the equity in your car. Founded in 2015 by a team of financial services, technology and payment experts, Finova delivers a path to financial well-being and fair lending for the 70 million financially underserved Americans that spend $138 billion in fees and interest annually on alternative financial products.